FK chats to Josephine and her assistant Sam of gorgeous Sydney based label, Laikonik. 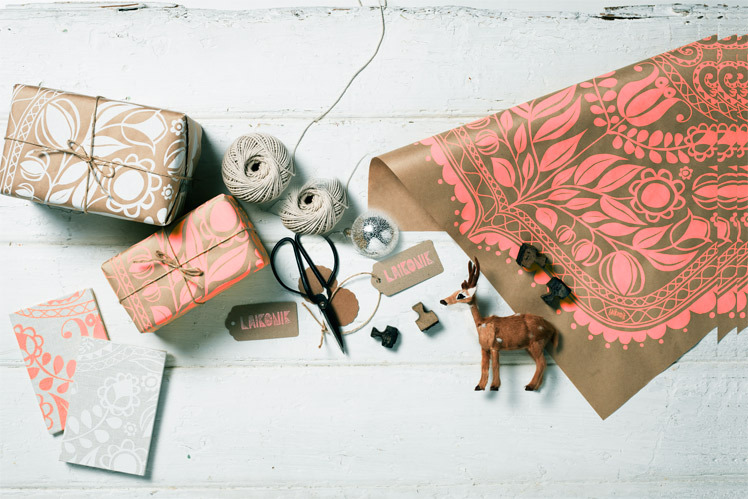 Providing a beautiful collection of traditional printed designs inspired by Scandinavian and Polish folklore. Look out for Laikonik at the upcoming Sydney Markets. Tell us a bit about Laikonik and what products we can expect to discover? LAIKONIK is a boutique design, paper and textile studio in Bondi Beach. We believe in utility longevity beauty simplicity and impart these values into every product we create. Our processes are dedicated to traditional methods of printing using sustainable materials. Expect to find beautiful, sustainable and wonderfully tactile materials and products – quality European linen, organic cotton and paper prints featuring bold Scandinavian and Polish folklore-inspired artwork. Currently our collection includes hand silk-screened prints, wall hangings and tea towels, and hand bound baby journals, birth and wedding announcements. 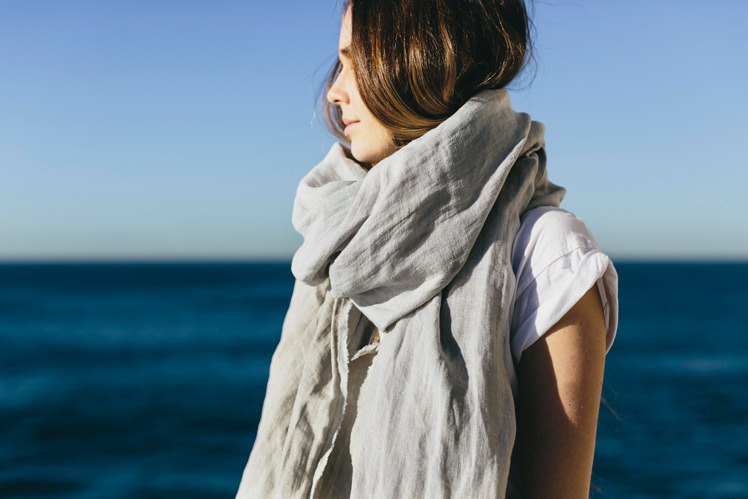 Not to mention our stunning 100% linen scarves! Hand made with love, hand made to last. I completed a bachelor of Fine Art, majoring in Printmaking and Graphic Design from the Centre for Fine Arts, Hobart. After 20 years travelling and working in the graphic design/branding industry in Perth, San Francisco, Auckland and Sydney, I was drawn to Laikonik by Kasia Jaquot’s (the founder) beautifully hand made tactile objects. I was inspired to get back to my printmaking roots, and contacted her with ideas to improve the products without sacrificing quality. We then became a team and in 2012 I took over as director as Kasia went on to other creative pursuits. I have since been designing, producing and developing our products, plus collaborating with other talented Australian illustrators. 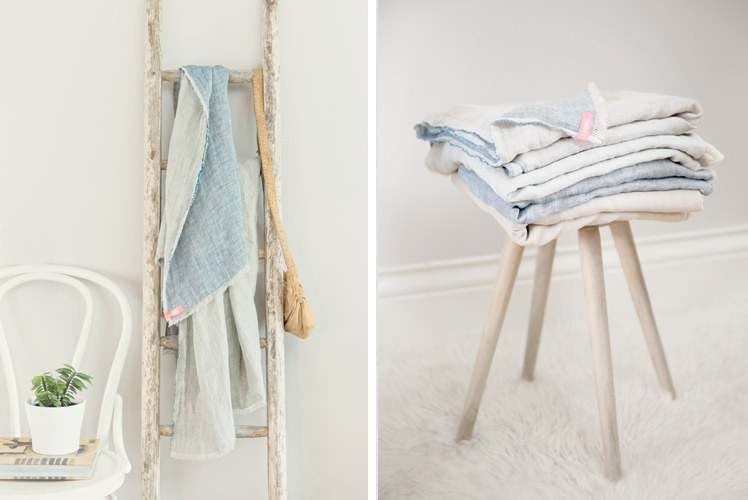 I am a lover of pure linen, organic, natural materials and beautiful functional design. I’ve always been inspired by Scandinavian design and the dual necessity and possibility of natural and sustainable materials and processes. My focus is still on using traditional methods and hand made processes, and I’m always looking at new ways to perfect and re-new our existing products. 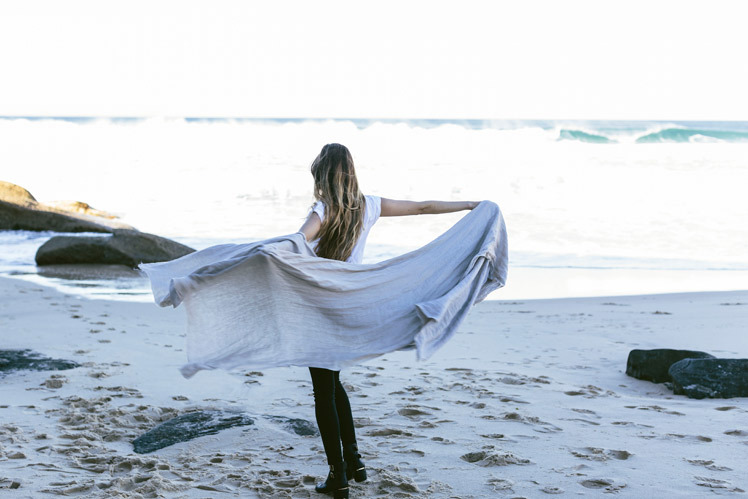 We love that we get to design and create in one of the world’s most beautiful locations – Bondi Beach, Sydney! Bondi has always fostered an inspiring and diverse creative community. There is always a new café to visit, community project to support or simply a new person to meet. As a company dedicated to natural and sustainable materials and processes, the fresh sea air and stunning natural surroundings make us feel very lucky indeed! 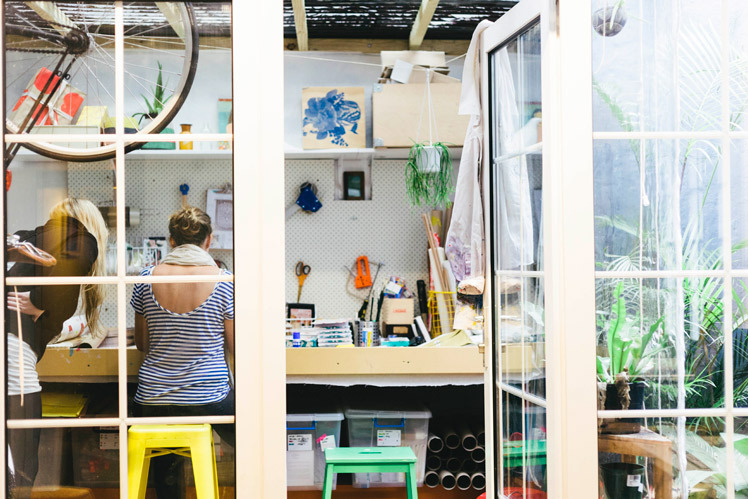 Inside our studio is an explosion of tactile fabrics, bright inks and fibrous papers. As everything we create is hand made, we always have something underway in the studio. Not to mention the mountains of coloured tape and quirky ‘props’ Jo is obsessed with buying! I must give founder Kasia Jaquot credit for the ideas behind most of our products. Initially, these products were always evolving and our aim was to introduce our Once A Year Books to the world. They’re now well on their way, being featured on Design Mom, Inside Out and Home Beautiful magazine, and several international blogs. The main challenges with making a hand made product is to keep production costs and times down. Our products are made sustainably with love, and there’s a story behind everything we do, but profit margins are no where near mass produced items and the challenge is to educate our lovely customers that while hand made goods will cost a little extra, it’s always worth it. Challenges included, we love what we do! 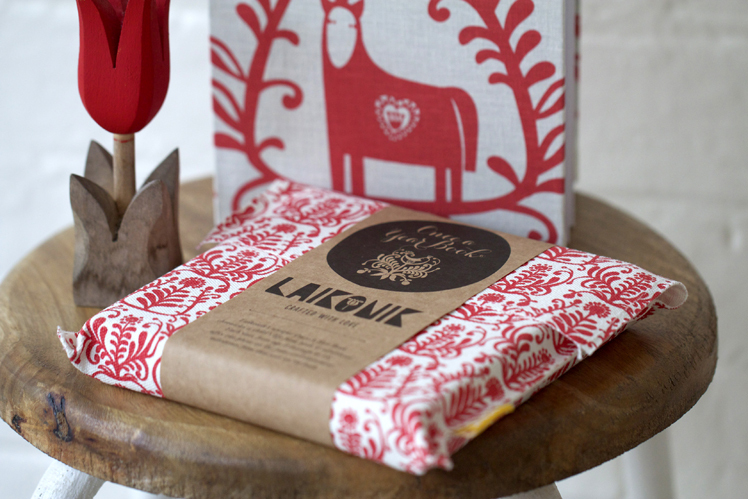 What can we expect to see from Laikonik at the upcoming Sydney Markets? We’re SUPER excited to announce our collaboration with Melbourne-based artist Laura Blythman, a Finders Keepers favourite! 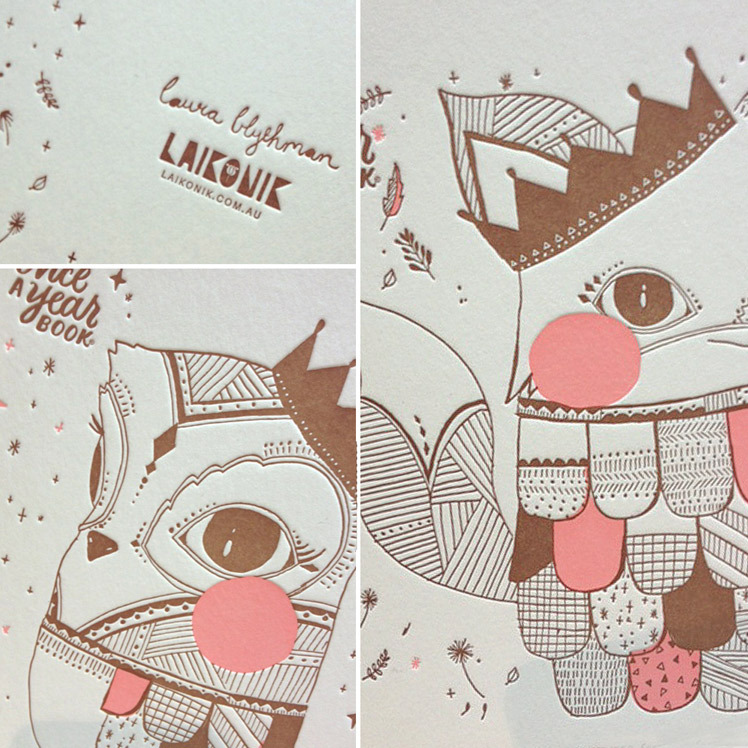 She has illustrated the covers of our new Special Edition Once A Year Baby Journal, to celebrate its 10th Year! Yay! Ours is a unique baby book/album that chronicles your child’s life from birth to adulthood (0-18). Each year affix one photo (4×4 inch – Instagram is perfect for this!) and document milestones on the back. Then, use the clever concertina design to display, or store for posterity. Plus, record the funny things kids say in the companion Chatter Book. Beautifully hand bound using acid free, archival quality paper, with a letter-pressed cover in cotton rag paper (made from fashion industry off cuts) and a keepsake wooden box – we know you’ll love it! 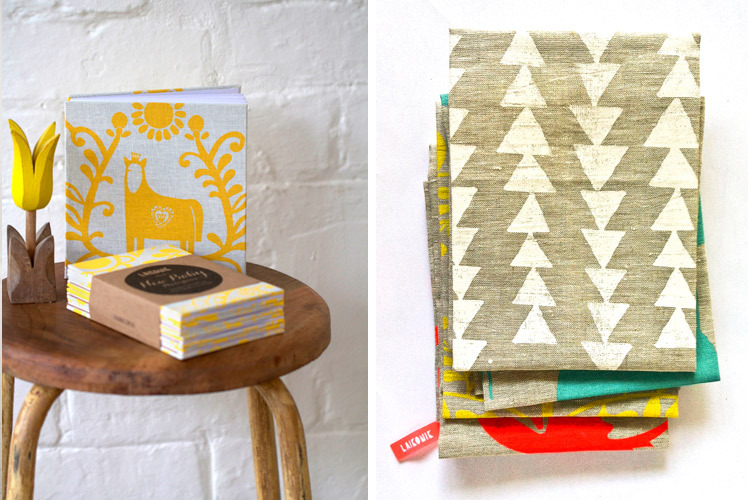 We’ll also have a curated selection of our lovingly hand-made and beautifully tactile products. Come by to experience our ingeniously constructed linen scarves, our range of hand silk-screened wall hangings, tea towels and art prints, and our beautifully unique, hand bound birth announcement, wedding thank you and Christmas greeting photograms.